Welcome to Home and Loan Finders website! Home & Loan Finders is a full service real estate brokerage and a DIRECT LENDER that specializes in home loans. Our commitment to our customers is to find them the best possible home loan for their needs and we guarantee the absolute lowest rate and fee structure period. 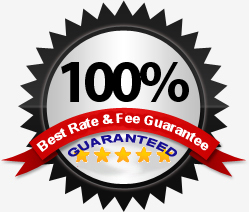 Home & Loan Finders strives to bring you the finest service available with a 100% best rate and fee guarantee. Please feel free to email or call us with any questions you have at all. We are here to personally help you through the entire home loan financing process. We are experts at home mortgages and are here to help. Our mission is to achieve your goals and exceed your expectations! You've finally found the home of your dreams. But in this economy you want to be absolutely sure it makes financial sense. Can you afford it? Use our simple mortgage calculator to find out. Have questions about finding the right loan?